A leading integrator of factory automation and robotics solutions selected the Comtrol DeviceMaster UP 2-port 2E for a production line cell for forging spindles. 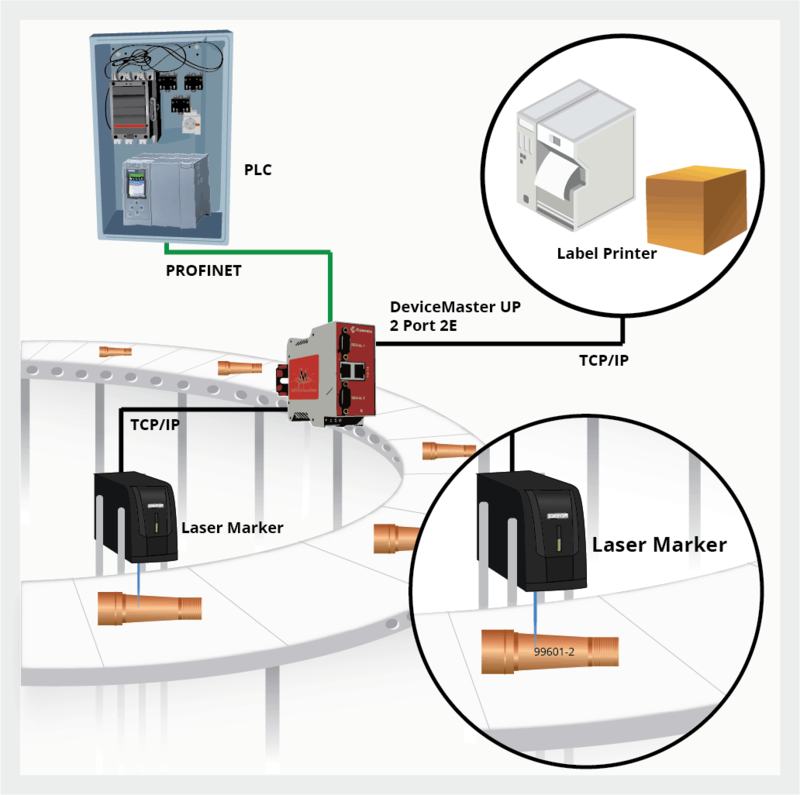 In this application laser markers communicating via Ethernet TCP/IP were used to apply a serial number to the spindles. The commands were sent to the marker through a PLC running Profinet. Further down the process, the spindles are loaded into a dunnage box that is applied with a label that lists the part number, date/ time, and operator ID. This data is passed to an Ethernet TCP/IP label printer from a Profinet PLC through the DeviceMaster UP 2-port 2E. Comtrol’s DeviceMaster UP 2-port 2E was the perfect solution because it can connect multiple TCP/IP Ethernet interface devices to an Industrial Ethernet protocol. In addition to Profinet, these devices can also connect to Ethernet/IP and Modbus TCP controllers.